QOTW: Do you like RGB lighting in your PC? Building a new PC these days typically involves RGB illumination. 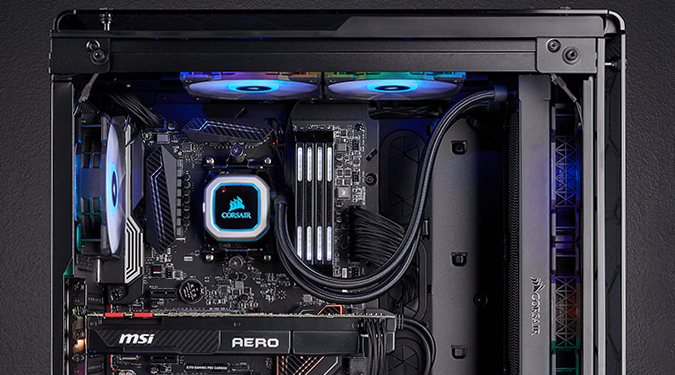 The latest cases, motherboards, memory sticks, graphics cards and coolers are all available with a choice of lighting options, and we've seen our fair share of mixed implementations. Some rigs come across as gaudy, yet when done right, RGB can offer an extra level of wow factor. The usefulness of RGB, outside of helping maintain the Christmas feel all year round, has been questionable, but we are now starting to see more in terms of immersion. Lights can be synchronised to games or music, and Razer has taken the next step by bringing Philips Hue into the fold. RGB is here to stay, so let's open up the debate by asking: do you like RGB lighting in your PC? Share your thoughts on the subject using the comments facility below. I like RGB lighting to a degree, my mainboard has Mystic Light and my watercooling has RGB fans but with the case being under the desk its a little redundant. There is some rgb on my internals due to the fact that it has ended up there by default, it is not something I actively went out looking for, I just have it all set to a solid cyan colour and I do quite like it, but I am not planning on going crazy with fans and strips any time soon! I can take it or leave it really, I like what I have but I wouldn't enjoy a full glowing disco box in the corner 24/7. Definitely not. I think case lighting (especially of the RGB variety) looks gaudy. Not a big fan of side windows either. Clearly milked to death and to the point where most people are just sick of it. Granted it looks good with a decent custom loop, but otherwise, it's just tacky. The worst thing is that they're integrating it into the front of monitors now lel. No. I tend to use black aluminium mini-ITX cases with an understated look. I don't want to use cases which look like the cross between the imagination of a hyperactive nine year old and a frog.